Choosing the correct kayak paddle that is suited to the type of kayaking you have planned can make a huge difference. Whether it is for recreational, touring, performance or whitewater kayaking, there is a paddle specifically designed for it. The best kayak paddle is the Carlise Magic Plus, which uses an asymmetrical spooned polypropylene blade and fiberglass shaft for easy paddling. Other than choosing the correct type of kayak paddle, you will also want to consider the total length. 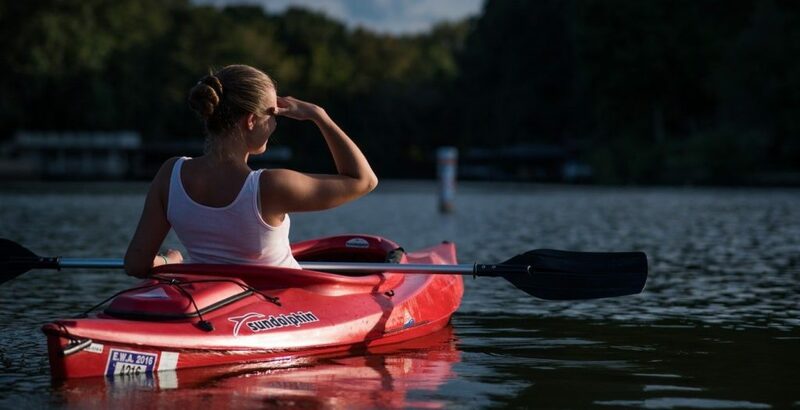 The suitable paddle will depend upon the width of your kayak so that it can reach either side of the water and the length of your torso because you may sit higher up than the average person. The two most defining component of a kayak paddle is the blade. Most are made from either plastic or aluminum as they are the cheapest but fiberglass is also a popular choice with great durability. If you are more experienced, you may even opt for a premium carbon fiber blade that provide additional performance and lightness. Connecting both the blades is the shaft, which are made of either coated wood, aluminum or fiberglass. Aluminum is the most popular due to the durability but can be heavy for long periods of time. Below is a list of the best kayak paddles that are available in a range of lengths to suit your kayaking requirements. The Carlisle Magic Plus kayak paddle combines flexibility and durability to give you control whilst you are kayaking. It has a dynamic, lightweight design to reduce fatigue but it’s durable enough to handle even the most intense kayaking. In terms of the blade design, it has an asymmetrical design that is slightly spooned, which makes it easy to produce powerful strokes without much effort. Here are some of the notable features of the Carlisle Magic Plus kayak paddle. The Carlisle Magic Plus kayak paddle is excellent for propelling longer sport kayaks easily, whether you’re a beginner or an expert kayaker. The Carlisle brand is one of the most respected in kayaking, with over 30 years in the business and they are known for their use of durable, effective materials. The Aqua Bound Manta Ray is a strong two piece kayak paddle that’s not only durable enough to handle intense kayaking trips, but also very easy to transport when you’re not on the water. The two piece construction means you can quickly take the paddle apart for easy storage and it’s made of a light fiberglass that’s easy to carry. However, the fiberglass is reinforced, which makes it strong enough to resist considerable impact. Here are some of the notable features of the Aqua Bound Manta Ray kayak paddle. Aqua Bound provide you with the choice of a Posi-Lok or snap button construction. The snap button is made from aluminum, while the Posi-Lok is made from a composite that prevents corrosion and has an infinite number of feathering angles. The blade on this paddle provides lots of power and is wonderful for sport kayaking. If you’re looking for something very sturdy and powerful, the Aqua Bound Manta Ray is an excellent choice. The Werner Camano Premium Fiberglass Paddle is one of the top kayak paddles on the market. Although it is an investment piece, it is a reliable and stylish choice that is worth it for the serious kayaker. This paddle has a durable and lightweight construction, with a fiberglass blade and carbon shaft. The paddle is designed to create stable and powerful strokes as you move forward. Here are some of the notable features of the Werner Camano Paddle. In addition to being very lightweight and easy to use, the Werner Camano paddle is also very stylish. The paddle comes in 14 different colors and designs to suit your tastes. Although this paddle provides top-notch quality for the seasoned kayaker, it’s also light enough that beginners can use it easily. The Shoreline Marine kayak paddle is a great paddle for everyone from beginners to advanced kayaking enthusiasts. It has several features that make it very comfortable to use, like foam paddle grips and drip guards. It also has a unique three position system that you can use to customize the way you paddle. Here are some of the notable features of the Shoreline Marine kayak paddle. Not only is this kayak paddle very comfortable to use, but it’s also easy to carry. It disassembles into two pieces, which makes it much easier to transport and put into storage. The Shoreline Marine kayak paddle is lightweight but it also is powerful enough for larger sport kayaks or even as a kayak paddle for fishing. The SeaSense Xtreme II is a lightweight kayak paddle with a sleek design that floats on water. It is a relatively affordable option, so it’s a good choice for beginner kayakers who still want a sturdy paddle. Here are the notable features of the SeaSense Xtreme II kayak paddle. This paddle provides excellent control and power while you are out on the water. The feathered blade design and adjustable position system gives you the control, while the support ridge gives you power. The 2 piece construction makes it easy to store when you aren’t using it, and the drip guards prevent you from getting wet. Overall, the SeaSense Xtreme II is a great all-rounder for people of all ability levels and offers great value for money. Your kayak paddle is what keeps you going in the water, so it’s important to find one that is effective and durable. If you’re new to kayaking, you might find yourself overwhelmed with choice when buying a paddle. 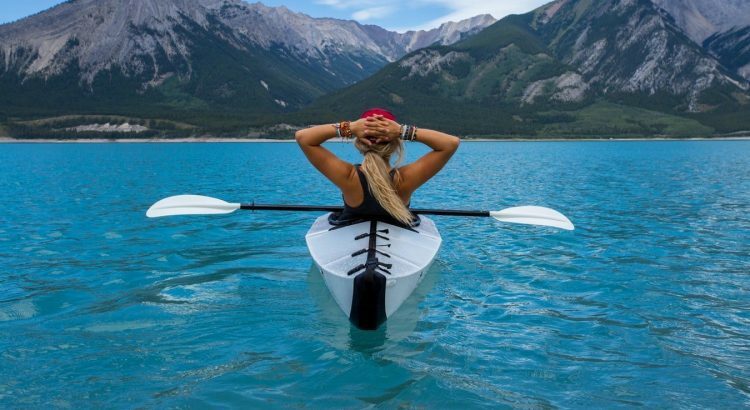 Knowing what to look for in a paddle can make a big difference when it comes to finding the best option for your needs. Here are the factors you should always consider when buying a kayak paddle. The length of the kayak paddle is the first thing to look at when shopping. Most kayak paddles come in multiple lengths, so you can choose the one that is best for your needs. Generally, the taller you are, the longer kayak paddle you will need. However, this is dependent more on the length of your torso than the length of your entire body. If you have a very wide kayak, you are also going to need a long paddle for power. Alternatively, if your kayak is very slim, you may be able to get away with a shorter option. The weight of the paddle is another important consideration. Heavy paddles tend to cause fatigue when used for a long period of time. They are also less likely to float if they are dropped in the water. However, this may not matter as much if you’re only a casual kayaker. If you kayak more frequently, it’s worth it to invest in a lightweight paddle that won’t put extra strain on your body. The type of kayaking you are doing will have an influence on what type of paddle you need. If you only kayak occasionally, you will be fine with a recreational paddle. These are affordable and are typically a bit heavier than comparable sport paddle options. Most of the kayak paddles listed in this guide are touring kayak paddles. This means they are lighter and more durable than a recreational kayak paddle, and they are often customizable to suit your personal paddling preferences. It’s important to look at the materials of the kayak paddle you choose, as this is a good indicator of how durable the kayak paddle is going to be. Inexpensive kayak paddles are typically made from plastic or aluminum. However, the best quality kayak paddles are made from fiberglass or carbon fibers, which are very lightweight and durable. For shafts, many paddles use aluminum, which is durable but quite heavy, or wood, which is also very durable. However, most performance paddles use fiberglass or carbon fiber for their shaft as well, which results in a lighter weight. Your kayak paddle is going to be exposed to the elements, so it’s important that’s it’s designed to handle all temperatures as well as some physical wear and tear. It’s particularly important that your paddle is rust resistant as well, since it will be spending so much time in the water. The paddle design is going to be another important consideration when shopping for a kayak paddle. Ultimately, the paddle design you go with will depend on your personal preferences and what’s most important to you while you are out on the water. There are certain features and keywords to look for when shopping for paddles. Dihedral: This means that the blade has two faces instead of being entirely flat. This gives the paddle much better control over the flow of water, which means you will paddle more efficiently. Most paddles have this design. Asymmetrical: Many blades are designed with an asymmetric angle to maximize your power in the water. You wouldn’t paddle with your blade straight up and down – it typically hits the water at an angle. An asymmetric blade is designed so that when your blade hits the water, there’s the same surface area on the front and back of the blade for more power. Within asymmetric blades, there are many different design options to choose from, so it helps to observe exactly how you paddle so you can make the best decision for your style. If you keep the blade more vertical when you paddle, you should look for an option that’s wider. If you tend to keep your blade more horizontal, look for a narrower paddle. Wing blades: These are designed for racing, and you need a very powerful stroke for these to be effective. They are intended for use at a very sharp angle in the water. For recreational or touring kayaks, these aren’t necessary. Drip guards are a very handy feature to look for when shopping for a kayak paddle. They essentially keep you from getting wet by preventing water from dripping down off the paddles back into the boat. While they aren’t an essential, they will keep you comfortable and dry while you are out on the water for a long time. Some high-end paddles give you the option to adjust the positioning of the blade and shaft to suit your needs. This gives you a totally custom fit in the water for optimal speed and efficiency. This can also be helpful if you share your kayak paddles with friends or family, because you can switch the configurations as each person uses the paddle. A good grip system on your kayak paddle is a very helpful feature to look for. This will give you more traction and control while you are paddling, and prevent your paddle from slipping. It also makes the paddle more comfortable to hold when you are using it for a long time. Many paddles are built with an oval shaft, which is easy to hold and naturally gives you a good grip on the paddle. Shafts that are entirely round aren’t as easy to hold for a long time and can get slippery. Other paddles have grips that are added on top of the shaft for traction and comfort. Since kayak paddles are very long, they can be quite difficult to store. Many kayak paddles address this problem with a two-piece construction. This means they can be disassembled in the middle, usually with a snap button. If you want to store your kayak paddles in the back of your car, this is a very handy feature to look out for. Investing in a high-quality kayak paddle will make your time out on the water even more enjoyable. A good quality paddle gives you more power with minimal effort. Use our kayak paddle guide to find the best fit for your needs. Upgrading your kayak paddle to some of the latest available can completely transform the way you paddle in your kayak. Most people will start of with plastic blades and a heavy aluminum shaft but if you are looking to upgrade, there is a wide range of paddles available. All of our recommendations cover a range of different blade designs, lengths and materials used in the construction, so there is a choice for everyone.